OR is a company that stands behind their products! OR is a company that stands behind their products! And they make some really good gear. 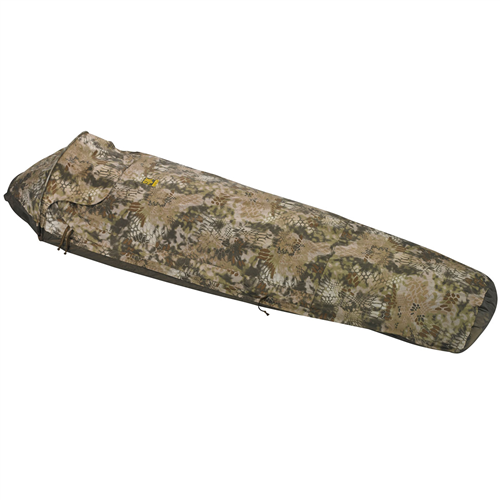 Ok, I have to admit that I have not used THIS bivy since I got. 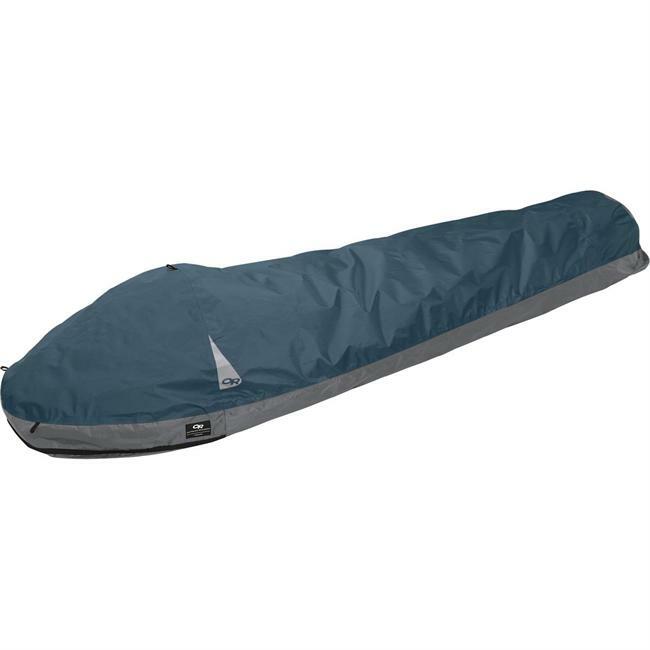 But I have used my old OR bivy before this one and I basically wanted to recount my story of customer satisfaction. I bought one of the original OR bivy sacks from a friend many years ago, after he had already used it for several seasons in Montana. Over the years, the silicon-impregnated material developed that tacky, icky feel and smell...you know how old gear gets. It got to the point that I didn't want to use it anymore for fear that it wouldn't be waterproof on the bottom. I was going to just toss it out but decided to contact OR in case they knew of a remedy for restoring the fabric. And they did. They sent me a brand new Aurora bivy sack, no questions asked. I was very impressed by this gesture, and most grateful. I am now looking forward to some hikes in Colorado using this new bivy. It is of very good quality and appears that it will hold up to the elements well. I plan on using it as a backup for when I can't find suitable conditions for my hammock. It is light and compact enough that both can be carried. I will update my review once I have some more experience with it. PS--I do not have any connection to OR whatsoever. They simply demonstrated excellent product commitment and I am grateful. This is a great product for a minimalist backpacker. This is a great product for a minimalist backpacker. Super lightweight and takes up very little space. No hoop to keep material off face if you are claustrophobic. 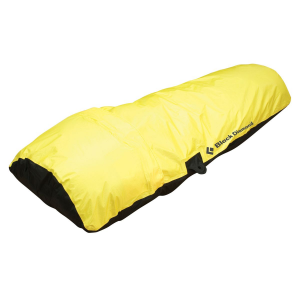 Setup is as easy as unrolling a sleeping bag. The Gore-Tex material is amazing. I have crawled in slightly damp and woken up dry. Minor condensation on the inside surface of the material when using it below -15° C. Not enough to make sleeping bag damp. Packs up smaller than a 1 litre Nalgene bottle. Does not have a hoop to keep material off of your face, but there are loops on the outside that can be tied to an overhead tree branch. I have had it for a year and have use it 6-7 times in weather ranging from -15° C to +20° C.
The bivy sack works as advertised. I have only used this at altitude because at lower altitudes I will get internal condensation. Using this at altitude and having a temperature differential between the inside and outside of the bag allows it to vent vapor through the Gore-Tex laminate. It is roomy enough for your bag and even a few small things inside. It is roomy enough to use your clothes as a pillow on the inside. My biggest complaint is the zipper orientation. If the zipper was on the side, it would be easier to get in and out. With the zipper around the head and chest getting in can be a slight pain. 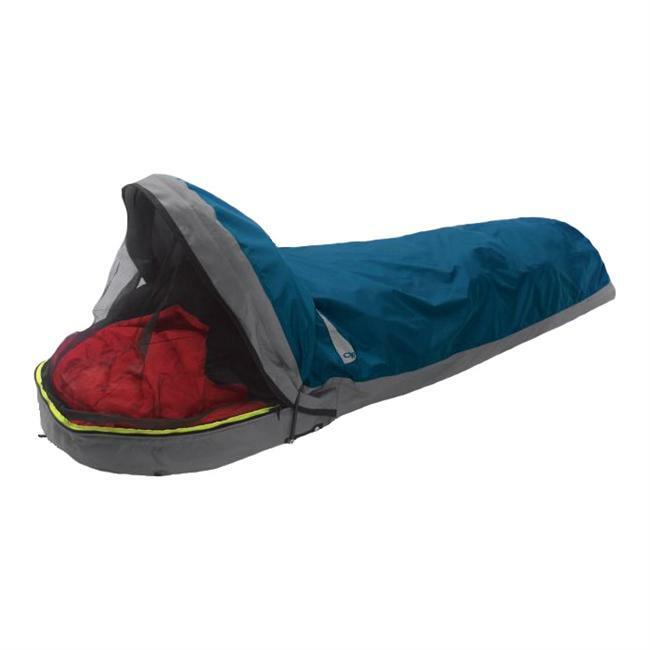 This is a good bivy sack for a single overnight trip. Great for climbing, but for more comfort and room to live in, one of the new lightweight single wall tents will probably be better if you care to carry an extra 1.5 to 2 pounds.